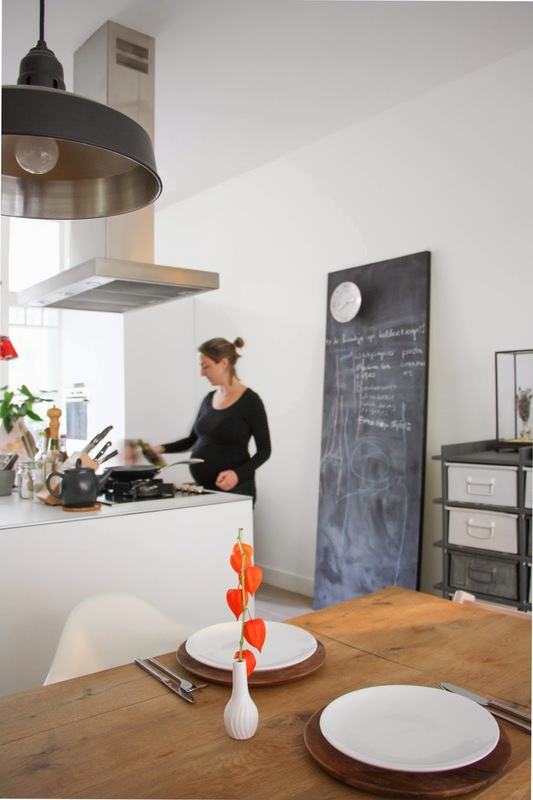 my scandinavian home: A light and relaxed Amsterdam home - and give-away winner! 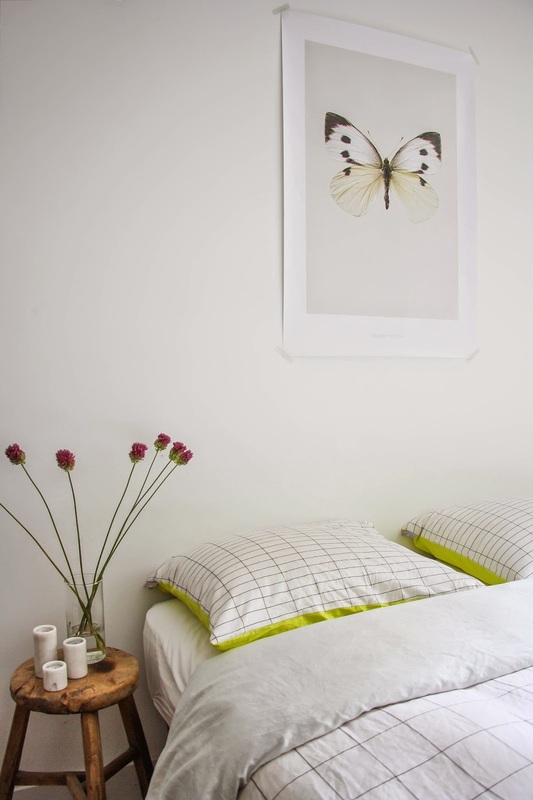 A light and relaxed Amsterdam home - and give-away winner! I hope you're enjoying some down time this lovely Sunday?! I was so happy to finally meet interior stylist, writer and photographer Holly Marder a few weeks ago here in my home. I was very honoured to be a part of her tour as she really does shoot some fabulous homes. Today I wanted to share with you the Amsterdam home of Jessica Peters (owner of Design Lemonade) and her husband Oliver Tardieu which Holly shot for her 'Homes with Heart' series on Decor8 blog. Jessica's love of Dutch design and Scandinavian decorating really shines through. I think this home has heart don't you? And just look at that beautiful baby bump! Home: Jessica Peters of Design Lemonade. Stylist / photographer: Holly Marder (with kind permission). Decor8 blog. 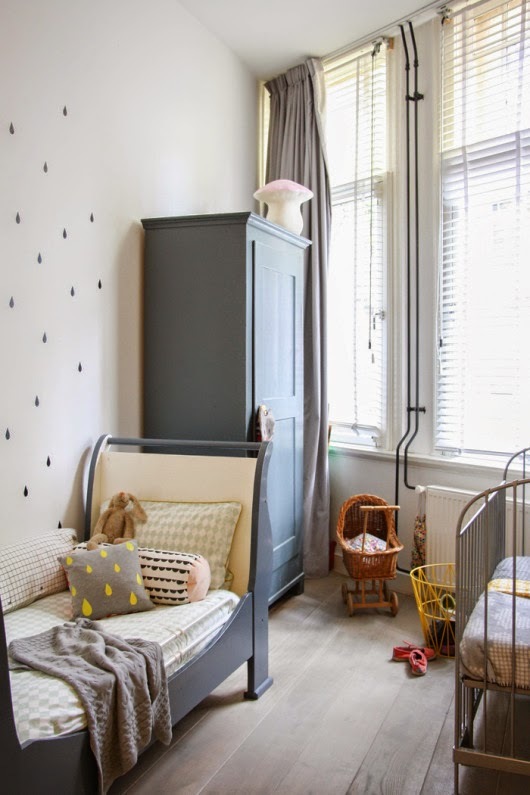 I spy the Eames DAW chair (15% discount with MYSCAN) and mini stacked shelves above the kitchen table, Children's room: Harlequin bedlinen set, mini drops wall stickers and raindrops cushion by Ferm Living. Butterfly poster in the bedroom. Click here for the complete house tour and interview. And now for the all important announcement of the luxury t-shirt soft bed linen give-away from Beach House Company....and the winner is Freebird! We'll be in touch shortly. Thank you to everyone who entered and making it such a fun give-away! Have a lovely Sunday and see you tomorrow! oh YES! this home really has heart! beautiful!